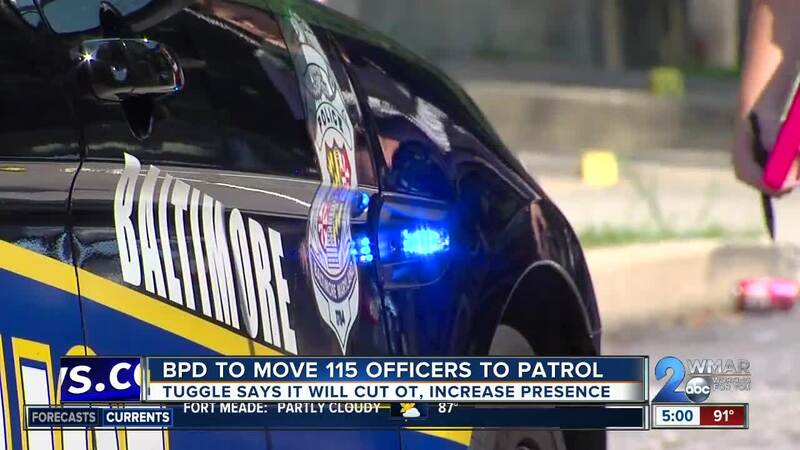 The Baltimore Police Department says on average, it is facing 18 vacancies per shift in each of its nine districts. The severely depleted ranks forcing involuntary overtime, up to 16-hour shifts for some officers and a ballooning budget issue for the city. Interim Police Commissioner Gary Tuggle says with his move of adding 115 officers back into patrol, those vacancy rates will be cut by nearly 78 percent. "This is not the end all,” Tuggle said, “We still have a lot more to do but with patrol being a priority...with our crime fight being a priority, we see the need to move these personnel. Some will be reporting as early as tomorrow. All will be in place by Sunday." These more than one hundred officers and 11 sergeants are being reassigned from two detective units within the department. Patrol now will take most burglary and aggravated assault reports. It may be robbing Peter to pay Paul, but Tuggle says patrol has been near broke for too long. He says the BPD needs more community engagement, more visibility and a more robust front line in the crime fight. "Looking at the number, that vacancy number, average vacancy, 18 per shift per district was really disturbing to me,” Tuggle said, “Not just to me but to the mayor. And recognized the need that not only does that not serve the city well, but it doesn’t serve our police officers well. " Tuggle says he signed the order yesterday, one of the few public directives he's made as interim commissioner, a role he has had for nearly two months. 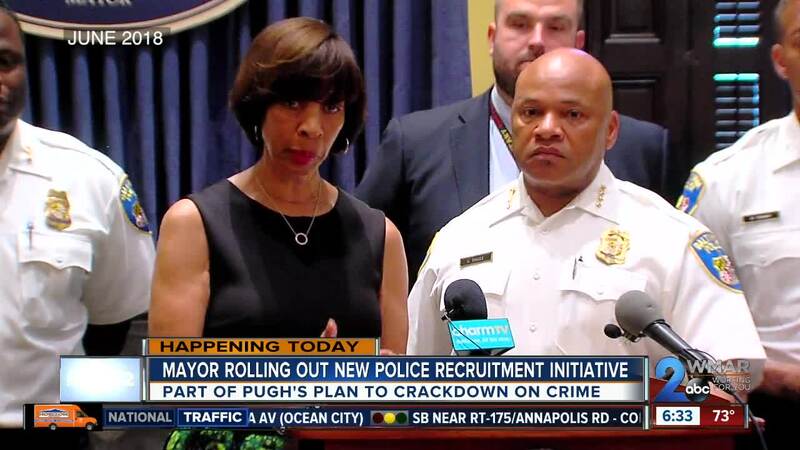 He has told Mayor Catherine Pugh he would like the permanent gig, but even today, when asked about the supposed national search for the next Baltimore Police Commissioner, the mayor offered no specifics or progress. "Um...everything is underway,” Pugh said of the search after promising some new information by the end of the week, “Everything is underway including a national firm that is working with us." When pressed for more information on the search including which firm is charged with finding and vetting candidates, the Mayor’s Office said there was nothing to announce at this time. 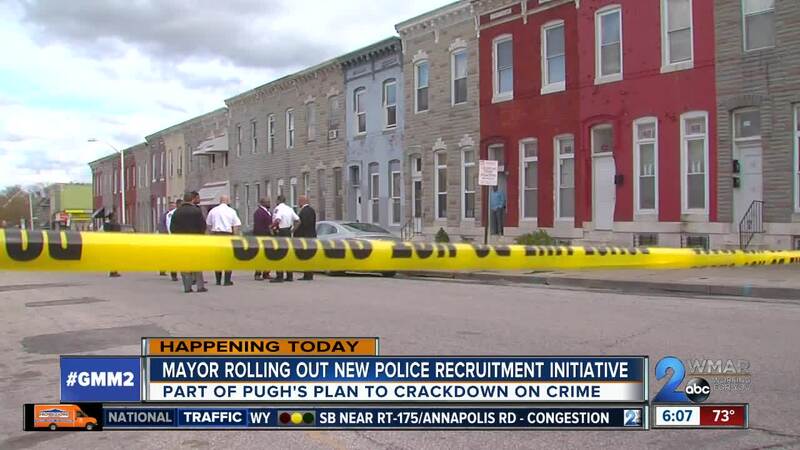 Mayor Catherine Pugh also announced a new police officer recruitment initiative on Wednesday. During a conference, she announced she is aiming to create a pipeline of committed, skilled, and experienced Baltimore Police officers. Officers will now need to be approved for accreditation in the newly-instituted Cadet-Apprentice Program which the Maryland Apprenticeship and Training Council have approved. Currently, there are 11 cadets in the program and Mayor Pugh hopes to have 20 by the year's end. Qualified people will enter the program at age 18 and continue until they are 20.5-years-old, the age needed to enter the Police Academy. Cadets will be involved in structured on the job learning and will also be put through educational programming and coordinated mentoring. Their starting salary is $30,000 and they will receive full employee benefits.